Roasted garlic. Onion dip. Crab cakes. Nothing gets a party going like some big, bold flavours. But you don’t have to let starters kill your swagger. Healthy Essentials has a new high-value coupon! 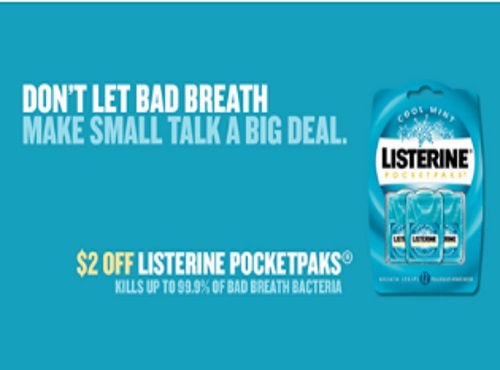 Save $2 off when you buy Listerine PocketPaks! Coupon applies to any 72 count product.